St. Peregrine, a Servant of Mary Saint, was born in Flori, Italy in 1265. Peregrine became a Servite friar and began a life-long journey of prayer and service (the name Peregrine means pilgrim). Because St. Peregrine suffered from cancer, the Church has designated Peregrine Laziosi the patron of those suffering from cancer and other life-threatening diseases. He was canonized in 1726 and his feast day is May 4th.  In 1994, the Servants of Mary began what is now the St. Peregrine Ministry. A Mass in honor of St. Peregrine is celebrated on the third Saturday of every month. Three times a year, an Anointing of the Sick is included in the Mass. All those with cancer and their families and care-givers are especially welcome to attend this Mass. In May, the month of St. Peregrine’s feast day, there is a special event held in conjunction with the Mass. This year, on May 19th at 9:45 am, Sr. Ann Marie Petrylka, a Servant of Mary, with share with us her journey with cancer. Sr. Ann Marie has worked in the Omaha area for many years. Then, at 11:00 there will be a Mass with the Sacrament of Anointing, followed by a luncheon. All are invited. On the third Saturday of November, a Memorial Mass gives special attention to those in the St. Peregrine Prayer Community, who have died with the year. The Servants of Mary are privileged to pray for individuals and families seeking the intercession of St. Peregrine. There are over 15,000 persons enrolled in the St. Peregrine Prayer Community from all over the world.